Bone broth is an excellent way to add nutrients to your pet’s diet. 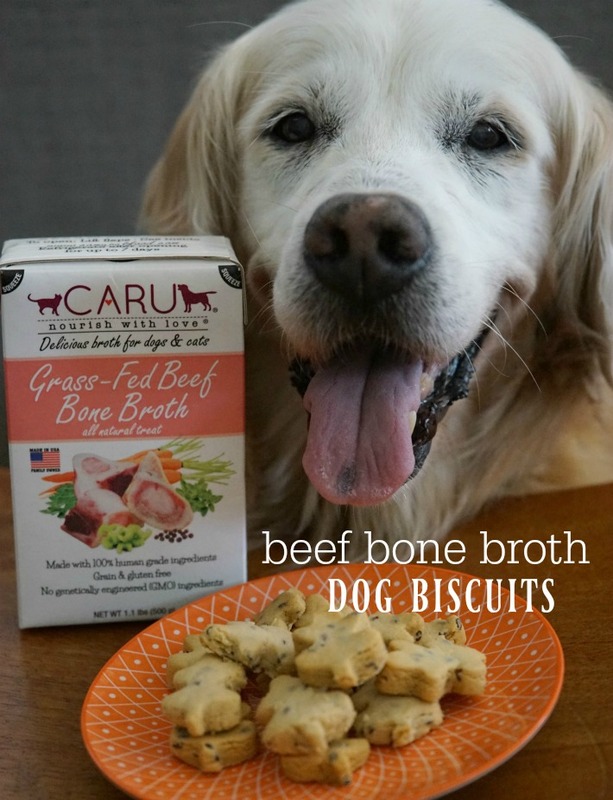 CARU Pet Food made it convenient with their Grass-Fed Beef Bone Broth. 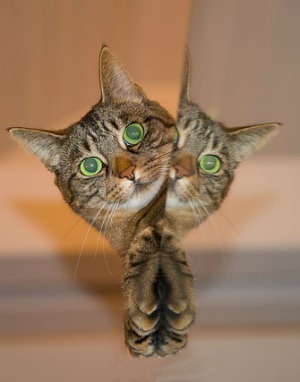 Bone Broth is a highly good supplement for dogs and cats. 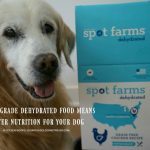 The mineral and nutrients from the bones benefit your dog’s or cat’s bones, joints, and digestion. CARU is known for their delicious natural stews. Just like their stew, Bone Broth is cooked in small batches. Made with 100 percent human grade ingredients; non-genetically engineered (GMO) ingredients. 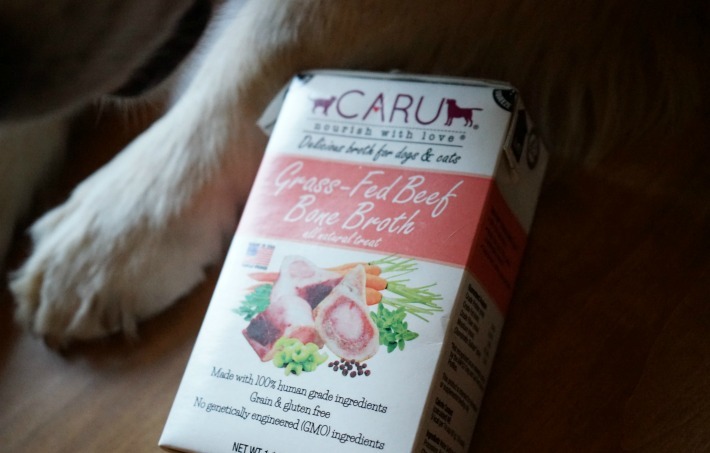 CARU Grass-Fed Beef Bone Broth is prepared by slowly simmering bones from grass-fed cattle, organic carrots, organic celery, and organic parsley for a truly flavorful, nutrient-rich stock. Then, apple cider vinegar and a dash of natural seasonings for flavor are added to form a nutritious bone broth. 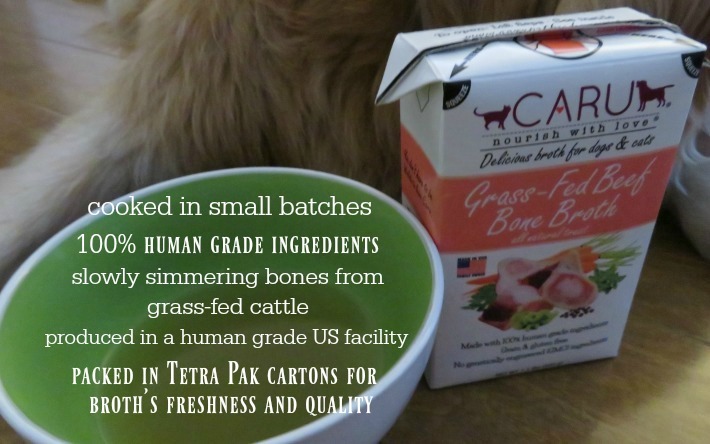 CARU Grass-Fed Beef Bone Broth is produced in a human grade facility in the United States. It is packed in Tetra Pak cartons – where the broth’s freshness and quality are protected without preservatives of any kind. 1) Excellent to add and moisten dry or raw food. Also, added flavor is helpful for picky eaters. 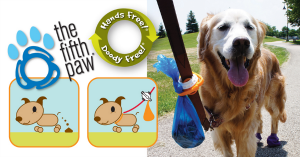 2) Nourish your senior or sick dog or cat. Studies show that bone broth can strengthen the immune system. 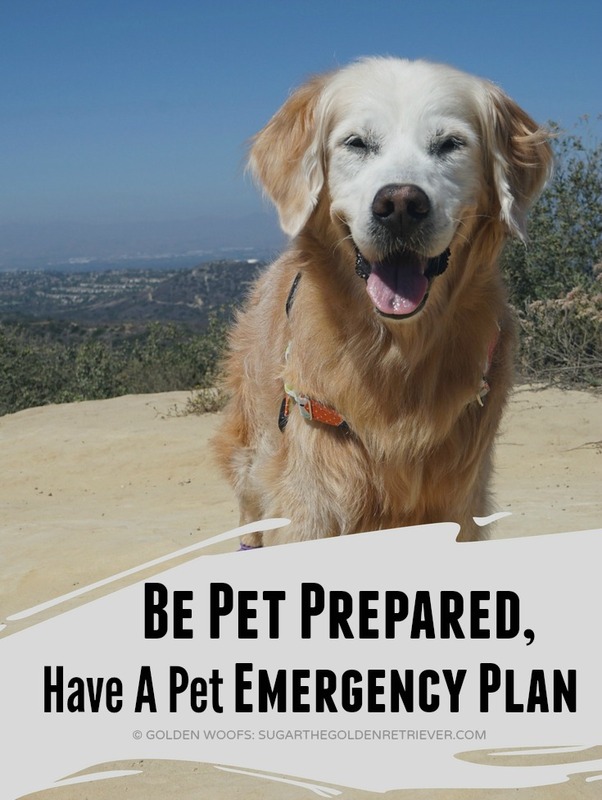 3) Serve as a treat or hydrate your dog or cat. If you plan to treat your dog or cat with bone broth regularly, the recommended serving is 1/4 cup of broth per day per 25lbs. 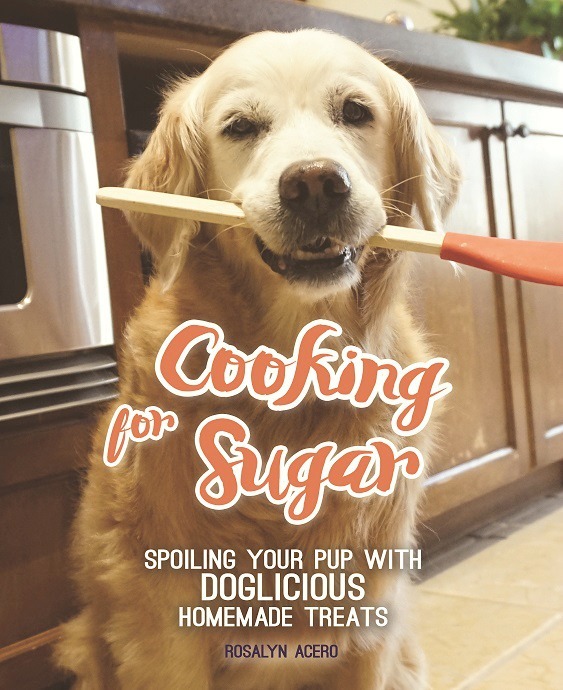 4) Make treats for your dog or cat. 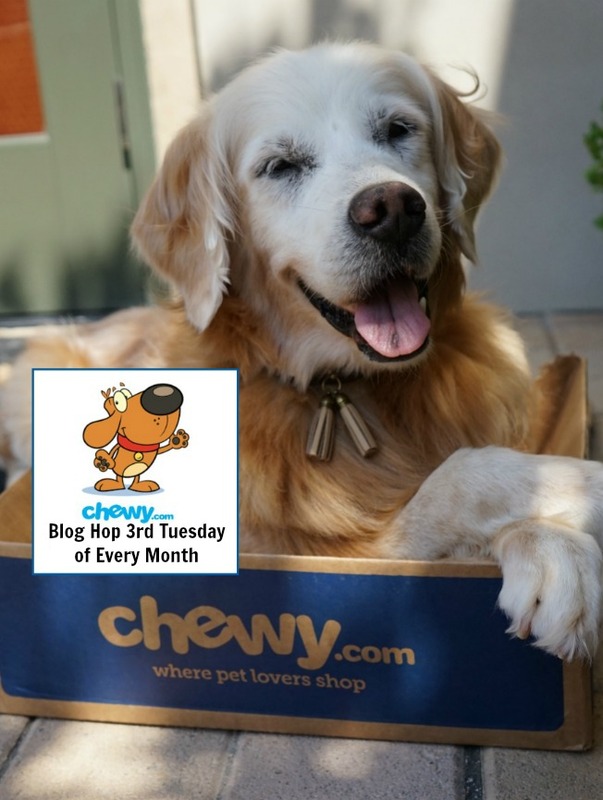 Bone broth is a great liquid alternative in making pet treats. To celebrate the change of season, I made SUGAR dog biscuits. In a bowl, combine all the ingredients. Mix well until the ingredients are thoroughly combined. Place the dough on a well-floured surface. Knead the dough until smooth. Roll the dough to a 1/4-inch thickness. Cut out the treats using a leaf cookie cutter. Bake at 350 for 30 minutes until dry and golden brown. The mixture makes 18 small leaf shaped broth dog biscuits. SUGAR loves the beef bone broth. 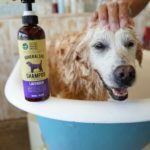 Golden Thanks, CARU Pet Food! 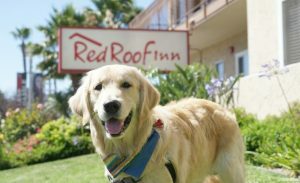 To learn more about CARU visit carupetfood.com. 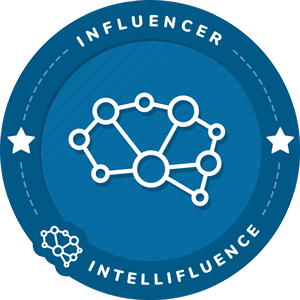 Be informed about the latest CARU products on Facebook, Twitter, and Instagram. 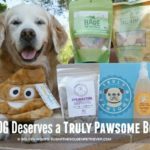 Does your dog deserve to try CARU Grass-Fed Beef Bone Broth? Join the giveaway tool. My dogs love Caru Bone Broth. 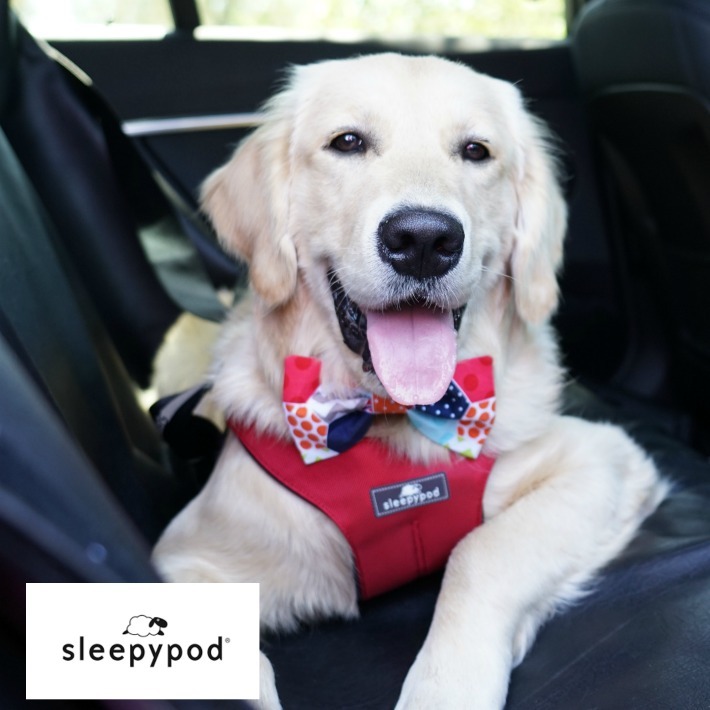 Skipper has allergies and itchy spots on him. I have been giving Skipper Caru Bone Broth and it seems to be helping him. It is like it’s helping his immune system. 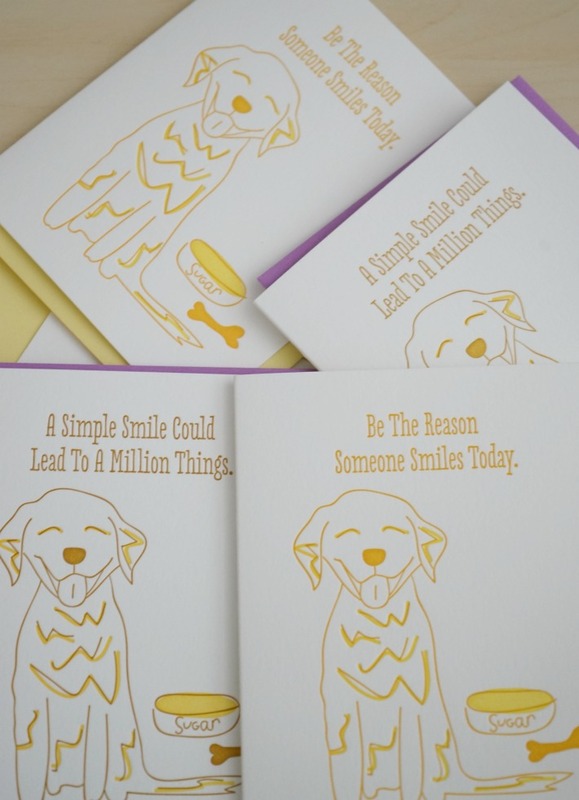 I am going to make the Beef Broth Bone Dog Biscuits for both dogs. Thank You for the recipe. Schooner love the bone broth too! My dog would love some bone broth! Looks delicious! My dogs mean the world to me and I want them to be treated to the best of things. I would love to be able to give them this! Got some of this last year, and gave it to my dog for his birthday as a special treat. Would love to let him try it again! 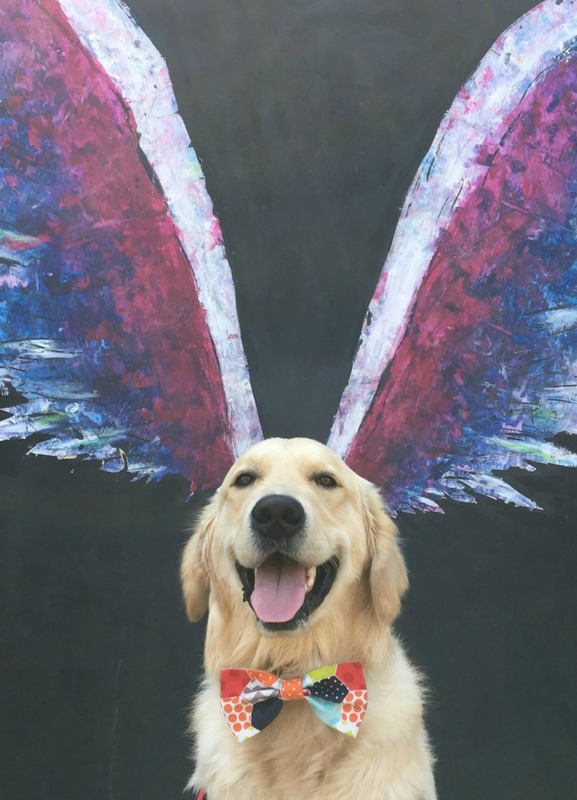 bone broth is so good for dogs. i just finished making a big pot of it for my 3 gals. i would love to try the Caru bone broth since it wont take over 20 hrs and lots of scraping off the fat from the top to get to the gel. i use it in their food everyday. i have been wanting to try this broth because you can give it to both dogs and cats! my cat has urinary issues and needs more moisture in his diet, so I would love to see if he likes this. 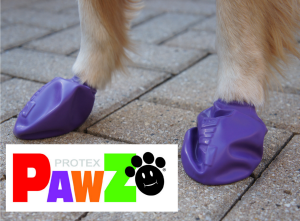 also my dog is a picky eater and adding this to his food might make him eat better! My girls are so special and loving. They deserve the best and Caru’s bone broth is the best! 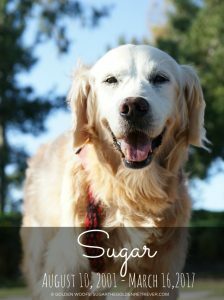 We adopted Kouga 9 years ago and we want to continue to provide the best care for him. Now that the season is about to be chilly and that the air is crisp, this bone broth is perfect! My two boys would love this broth. Bug is 11 years old and needs a warm boost in the cool mornings! My dog would love to try the beef broth. Nothing says “I love you” like homemade! My dog deserves the new beef bone broth because she has a lot of food allergies and she lives on beef now. It’s about the only protein she can have. So I would love for her to try this. 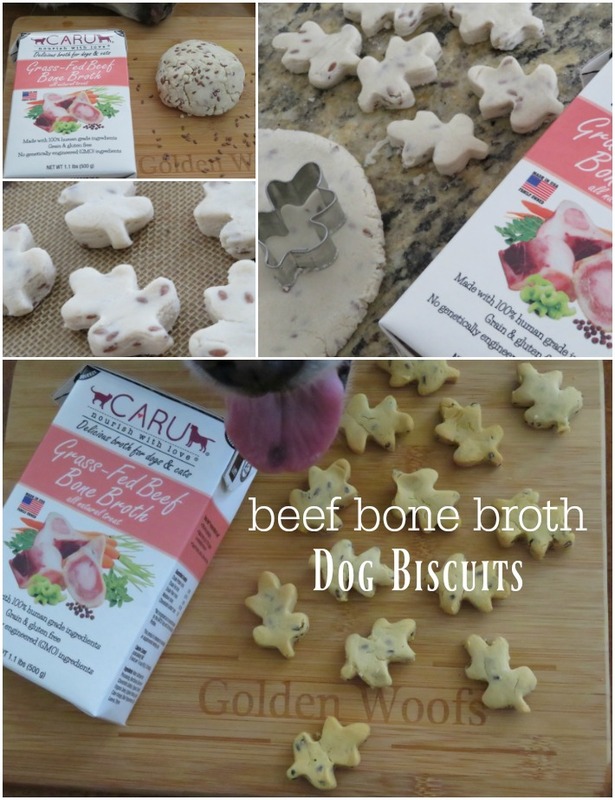 I have seniors dogs that I know would love to try CARU new Beef Bone Broth on their kibble or dyhydrated food. My dog is about a year old. We rescued her about 3 months ago. She’s afraid of people, didn’t know what treats or toys were, so we suspect she’s had a hard life. She’s warmed up to us and loves treats and toys now, so I know she would love this. 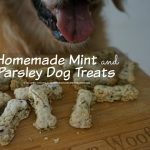 I’d love to make my boy some treats with this! Perfect for Fall and overall good health! Max loves his tasty treats! I was too lazy to make a birthday party for my dogs. 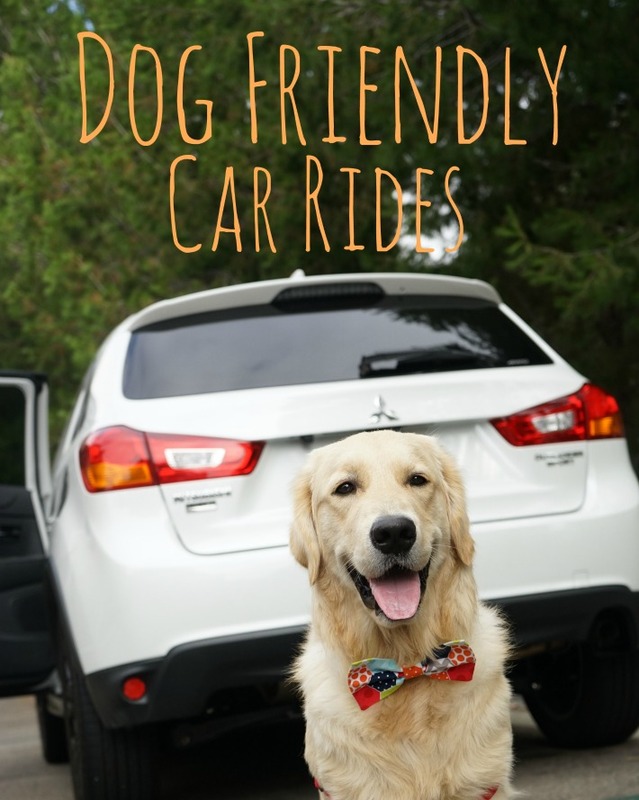 Please help with the guilt and provide my pooches with some beef bone broth dog biscuits!